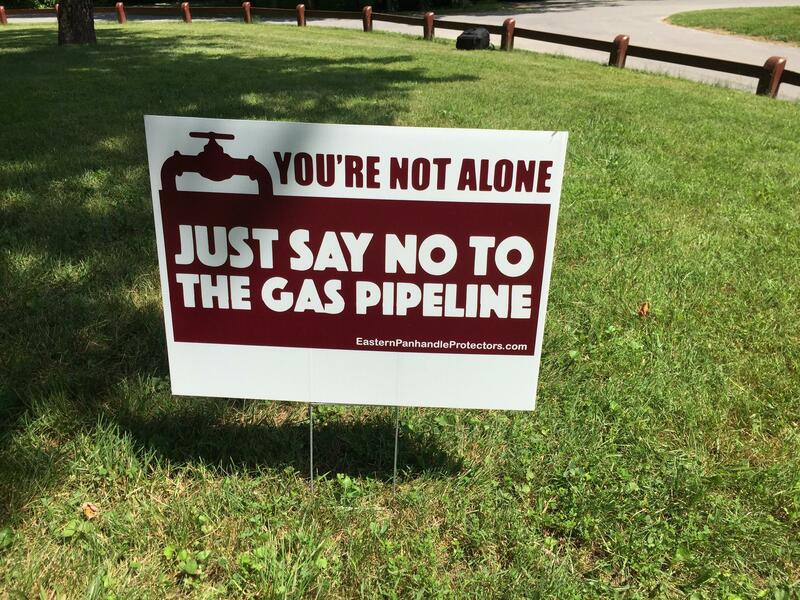 A sign protesting the Eastern Panhandle Pipeline. A judge has lifted the restraining order against natural gas pipeline protesters sitting in trees in West Virginia. Mountain Valley Pipeline had sought the order, saying the protest could prevent cutting trees along the pipeline's path in time to meet a March 31 federal wildlife protection deadline. A licensed surveyor testified the protesters were outside of the no-cut zone and inside the company's right of way, but the protesters' attorney, William DePaulo, pointed out mapping inconsistencies. In his ruling, Irons highlighted concerns over the map data's accuracy and questioned the urgency to reach a decision over two trees along the 300-mile (480-kilometer) pipeline.